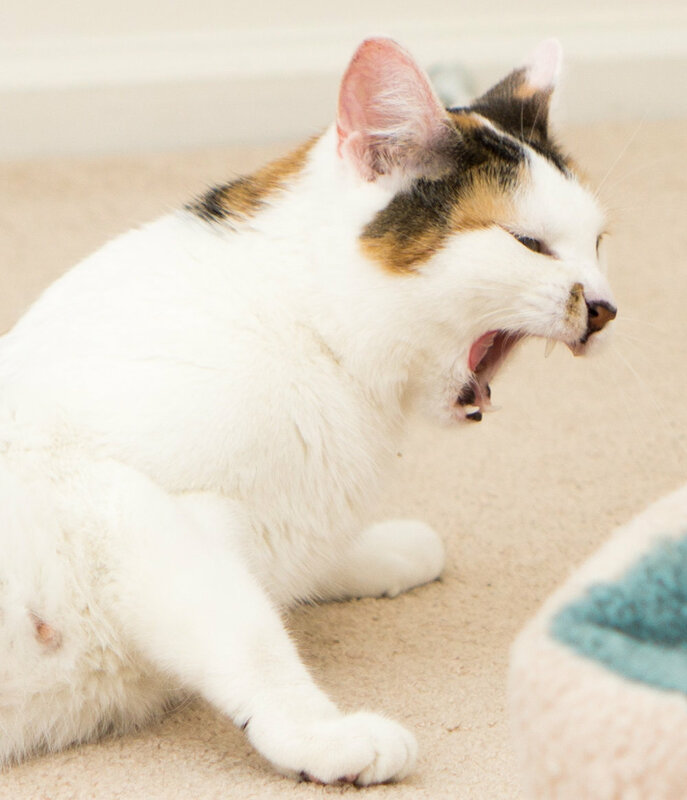 This is just a quick post to officially introduce Angel, the new pregnant cat you may have already noticed in the Kitten Academy Annex! 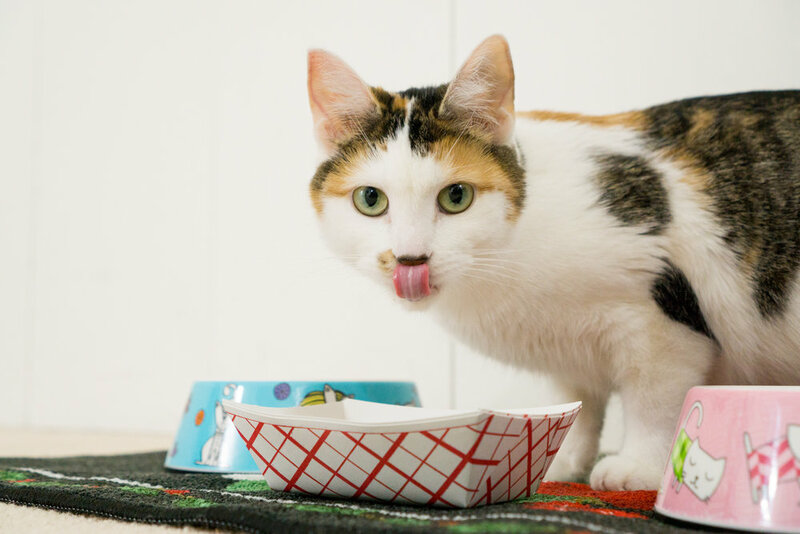 She's a beautiful Calico, who was brought to us by On Angels' Wings. She's already proven herself to be friendly, and likes to purr, and follow us around the room. She also comes running at the sound of an opening tin of food! It's difficult to predict exactly when she will deliver her kittens, but DJ thinks it will be in the next day. Mr. A. thinks it'll certainly be sometime this week. We can already feel her little kittens kicking if we put a hand on her belly; they're excited to get out! Although we haven't been keeping the Annex camera on consistently, the plan is to live stream the birth. We put the camera on the stream whenever we're not watching her directly, so we can hear if anything happens! Sorry if that makes it a little boring sometimes. Things can get a little intense when a cat goes into labor, but if possible, we'll tweet when it begins, take some supplemental recordings, and archive the footage from the live stream, just like we did for Ivy. Here's some photos we got over the first couple days she's been here! One extra quick note - Chiffon was adopted, which means all the Textiles have homes, except for Velvet! She's still at On Angels' Wings.